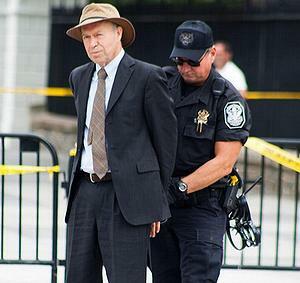 WASHINGTON, DC, August 29, 2011 (ENS) – NASA climatologist Dr. James Hansen was arrested today in front of the White House where he was demonstrating in opposition to the proposed Keystone XL tar sands pipeline that would bring thick crude oil from Alberta to refineries in Oklahoma and Texas. 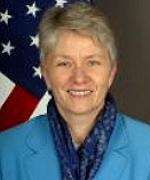 Dr. Hansen heads the NASA Goddard Institute for Space Studies in New York City and is a climate research scientist at the Earth Institute, Columbia University. 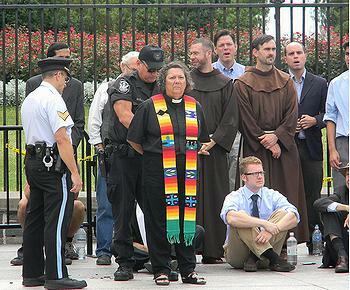 Today, 60 religious leaders of many faiths were among the crowd, which also included CREDO Mobile president Michael Kieschnick, Greenpeace Director Phil Radford and 350.org Executive Director May Boeve. In addition, the No Tar Sands Caravan arrived in Washington, DC today after seven days and over 3,300 miles traveled on the journey from California to Washington, DC to protest the Keystone XL pipeline. The State Department considered three major alternative scenarios – a no action alternative; the use of other pipeline systems or methods of providing Canadian crude oil to the Gulf Coast market; and other potential pipeline routes for transporting heavy crude oil from the U.S./Canada border to the Gulf Coast market. “Whether or not the proposed Project is implemented, Canadian producers would seek alternative transportation systems to move oil to markets other than the U.S. Several projects have been proposed to transport crude oil out of the oil sands area of Alberta using pipelines to Canadian ports,” the State Department concludes. The FEIS recognizes the public’s concern for how a pipeline spill might affect the Northern High Plains Aquifer System, which includes the Ogallala aquifer formation and the Sand Hills aquifer unit. Environmental author Bill McKibben, who is organizing the protests at the White House, said that the release of the State Department FEIS would not dampen the spirits of the 2,000 Americans who have signed up to participate in the Tar Sands Action. A State Department spokesperson said the agency is on track to make a determination about the pipeline by the end of this year. Before a decision is final, the State Department is soliciting additional public input. The next step of the process, the national interest determination, is a 90-day period when State officials will consult with other federal government agencies to define the national interest regarding this project. The pipeline is supported by the National Association of Manufacturers, the largest manufacturing association in the United States, representing manufacturers in every industrial sector and in all 50 states. “This is a terrible project – many of the country’s leading climate scientists have explained why in their letter last month to you. It risks many of our national treasures to leaks and spills. And it reduces incentives to make the transition to job – creating clean fuels,” the letter states. Signers were Fred Krupp, Environmental Defense Fund; Michael Brune, Sierra Club; Frances Beinecke, Natural Resources Defense Council; Phil Radford, Greenpeace; Larry Schweiger, National Wildlife Federation; Erich Pica, Friends of the Earth; Rebecca Tarbotton, Rainforest Action Network; May Boeve, 350.org, who was arrested at the White House today; Gene Karpinski, League of Conservation Voters; Margie Alt, Environment America; and Kieran Suckling, Center for Biological Diversity. 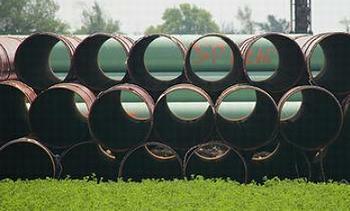 In Canada, too, there is opposition to the pipeline. On Saturday, a rally in Burnaby, British Columbia near the site of a 2007 oil spill was held to support the protesters in Washington, DC. Protesters there said the Alberta tar sands are one the largest sources of climate-changing pollution left on Earth. 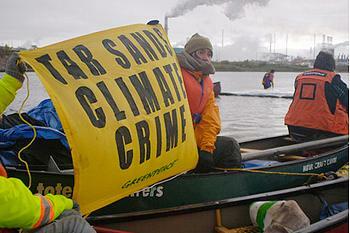 Greenpeace has been protesting the tar sands development for years. Greenpeace is calling on oil companies and the Canadian government to stop the tar sands and end the industrialization of a vast area of Indigenous territories, forests and wetlands in northern Alberta. 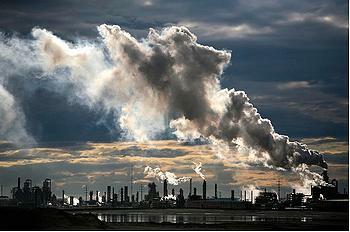 Greenpeace is also concerned with the social and health costs of tar sands development. First Nations communities in the tar sands report unusually high levels of rare cancers and autoimmune diseases, and their traditional way of life has been threatened. On September 26 in Ottawa, the largest act of civil disobedience on the climate issue that Canada has ever seen will be staged by the Council of Canadians, Greenpeace Canada and the Indigenous Environmental Network. People will risk arrest in an action endorsed by McKibben and Hansen among hundreds of others. 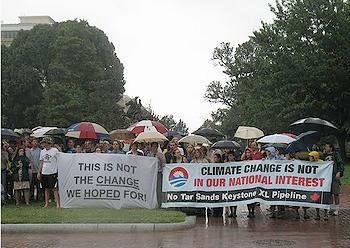 Click here to read the August 22, 2011 ENS article on the Tar Sands White House action.